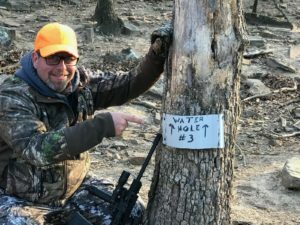 The 2018 legislative session is a WIN WIN for Nebraska sportsmen and women. It always amazes me the results that are achieved when we work as one voice. One team that avoids lines in the sand with angry, closed-minded hatred we see so prevalent in today’s legislative process. When we work as a team, we win more than we lose! The Nebraska Sportsmen’s Foundation mission since the beginning has always been to be the pointy end of the spear. Leading the way to achieve a larger more powerful coalition of state agencies, conservation groups and the individual sportsmen. All of whom are working in the same direction to enhance and protect our rights as hunters, anglers, trappers and those who enjoy spending time in the outdoors. The relationships and partnerships we all have created working as one team has increased our voice and actions within our State Unicameral. Not to mention the attention of our national leaders in Washington, D.C. This past session our team went 10-4 on legislative bills. In the last seven years, the NSF has won positive legislation on 102 out of 211 bills. That is an astounding 48% record. This is all bills, negative bills that we needed to defeat and bills the NSF helped create or simply worked as a partner with the sponsor of a bill. In the past seven years, the sportsmen and conservation community have gained tremendous steps and a new level of power with our leaders. The leaders who decide our rights and protections. Each year after the dust settles on the legislative session it is key for the NSF team to take a breath. This allows us to review where we have been and where we have to go to. Everything we do is to keep our rights moving forward! In reflection, we are sometimes a bit stunned that so many different groups with specific mission statements can work as one team. The NSF staff wants to Thank all of you who have stepped forward and are on the team. We would encourage all of you reading this to please get involved. New members are always needed to keep moving forward. Remember that the hardest voice to silence is the loudest. Undoubtedly, when we are all working as one voice we cannot be stopped. Enjoy your summer and the great outdoors with family and friends.